Today in the industrial machinery industry, new industrial equipment is invented and old industrial equipment is improved upon every so often. A&A Coatings understands the industrial machinery industry and recognizes the ever changing needs of this industry. We have devised specialized coating processes to ensure that all cutting-edge machinery used across varied industries can benefit from our thermal spray coatings. 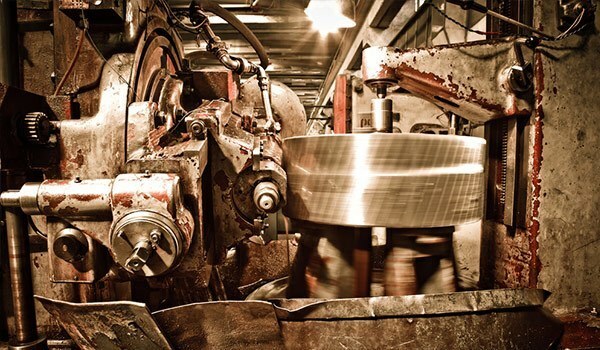 Our coatings for today’s industrial machinery are known to conform to the highest industry standards and regulations. White Alumina or the aluminum oxide ceramic is a very dense coating of plasma spray. It provides great corrosion and abrasion resistance for most mixing and industrial machinery applications. The high purity material finds great favor in coating applications where contamination is one of the major concerns. Mostly brought into application through the HVOF or plasma spray process, tungsten carbide is among the most wear resistant materials. If the material that is mixed is extremely heavy or hard, tungsten carbide is employed in the coating process, as the coating required must be tougher than what is achieved by other materials. When a layer of PTFE is added to an abrasion resistant ceramic, a highly slippery and smooth release surface is obtained. The coating is generally employed in applications where mixed material exhibits a tendency to stick and bind to the machinery components. For more than 70 years, customers in the industrial machinery industry have worked with A&A Coatings to protect their machinery components with our high quality coatings. A&A Coatings stays abreast with the changing requirements of the industrial equipment industry and is always developing the best coatings that are designed for addressing problems which are unique to a certain industry’s industrial equipment. Because our engineering department at A&A Coatings is highly dedicated to offering appropriate coating types to our clients from varied industries, we are sure that we will not let our customers down when it comes to industrial machinery protection. Do contact us today to find out about the thermal spray coating solutions for your industrial machinery.